is my first Kindle e-book based on “building blocks” first presented in this blog. As I have written elsewhere, I think that leadership, today, can be used both as a framework of thought and as a tool for bringing desired and intended changes to a personal and professional level. These changes, made intentionally in a personal and professional level, can propagate results and outputs in the areas of personal development, relationships, business, communities, policies, politics, etc. Considering the present situation, with all the problems a modern person has to cope with, the changing of things that are not working anymore, as used to be, should and ought to be a task of personal responsibility. And for this reason, I believe that a broad initiative must be taken, in order to regain the insights that can lead us, to formulate a better social, political, business and personal environment. I believe that Leadership, as a principle and disciple, is a vital component in this procedure and can be used by anyone in order to enhance his/her personal and professional life. Today, in a competitive market environment, with more demanding tasks and requirements a person can cope with, and with a widespread information overload demanding for attention, a person should he or she have a guide to support him/her in his/her daily, short and long-term goals. This little book moves to that direction. It consists of ideas and approaches, first appear in the Takis Athanassiou Blog on Leadership Initiative, which I think that provides a general framework for reference and discussion on topics related to Business, Leadership, Personal Development, Productivity, and Tools. I re-written and re-edited many of them, leaving just the elements can provide a coherent action framework and I add things I believe were missing! 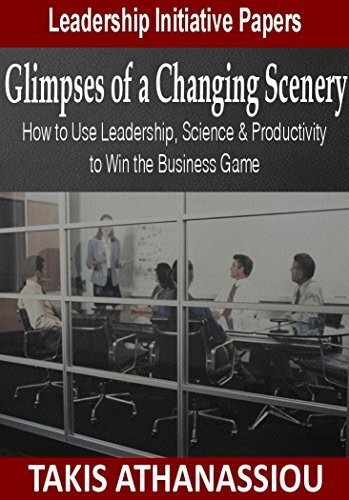 The book Glimpses of a Changing Scenery aims at setting a more solid framework of reference in relation to personal leadership and on its influence in business and life. This book is designed to be the first book and one integral part of the Leadership Initiative Papers line of documents. This is a series of reference papers, which aspires to lay a seamless and transparent framework for someone wishing to control his/her life and enhancing his/her efficiency in his/her environment (either personal, professional, social, community, etc)! 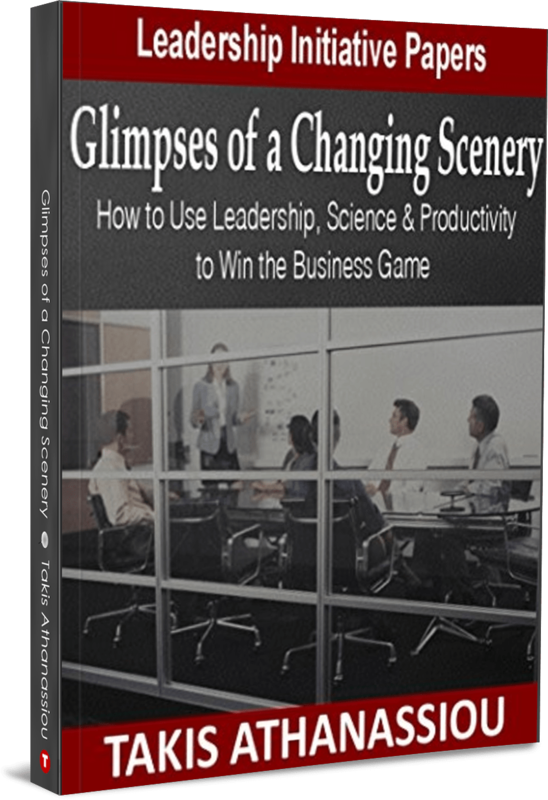 The book Glimpses of a Changing Scenery is all about methods and approaches and its main focus in on how you can use some approaches, methods, tools, and ideas to better your personal and professional life. It is also about people, and more specifically it is focused on one person. YOU! The ideas in this book, cover various human activities, that could be made more efficient, simpler and even more enjoyable for you to accomplish if you would spend some time to think and organize, in a different way, some basic sections of your life. You can also find the book “Glimpses of a Changing Scenery” at the following bookstores & sites!